It's important to learn coconut milk nutrition because coconut is a reservoir of vitamins and minerals, protein and healthy fats. It has a high nutritional value that makes it comparable to dairy products. Coconut milk is often used as an active ingredient of various skin care products that help keep your skin healthy, smooth, and free of wrinkles. 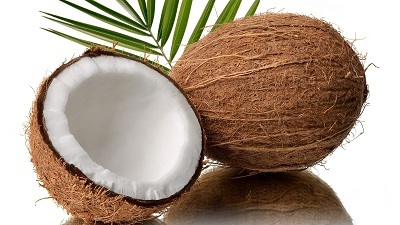 In spite of its known benefits, some people question whether coconut products including coconut milk are healthy or not. They assert that the type of fats in coconut milk have high levels of saturated fat, which makes it unhealthy. However, advocates for coconut milk believe that the saturated fat in coconuts contains lauric acid, which is a medium-chain fatty acid, similar to the fat found in breast milk. It reduces the risk of cardiovascular disease. It boosts immune system function, due to its antifungal, antiviral, and antibacterial properties. It aids in proper digestion. Its fatty acids are readily converted to energy, instead of being stored as fat. It is a rich source of vitamins and minerals. It is lactose-free and a good substitute for cow's milk. It is high in antioxidants. It contains more protein and less sugar than apples, bananas, or oranges. Heat water without letting it boil. Place water and coconut flakes in a blender and set it HIGH for several minutes until the mixture turns thick and creamy. You can do this in 2 batches if the ingredients do not fit into the blender. Using a colander, separate the coconut pulp. Squeeze this through a piece of dry cheesecloth to separate the coconut milk and the small pieces of coconut pulp. Drink the milk immediately or store in the refrigerator. Fresh coconut milk must be used within 3 to 4 days to enjoy its flavor and texture. People who do not have health problems may take canned coconut milk, as long as they do not react to guar gum or Bisphenol A (BPA), a compound found in canned products. These individuals may take fresh, organic coconut milk or BPA-free coconut milk products. People with problems in digestion such as irritable bowel syndrome (IBS), irritable bowel disease (IBD), gastroesophageal reflux disease (GERD), etc. should avoid coconut products, except for coconut oil. Is Drinking Cold Water Bad?